The Yucca Valley Equestrian Center is a full service boarding, training, lesson, and trail ride facility located in Yucca Valley, California. Close to the beautiful Joshua Tree National Park, we are a scenic location for trail riding, as well as offering riding lessons for all ages and skill levels in Western, English, and Dressage. We offer both Standard and Custom Care Boarding in our barn, outdoor pens, and pastures. We also provide training for your horse in any discipline. Come visit or give us a call for more information! 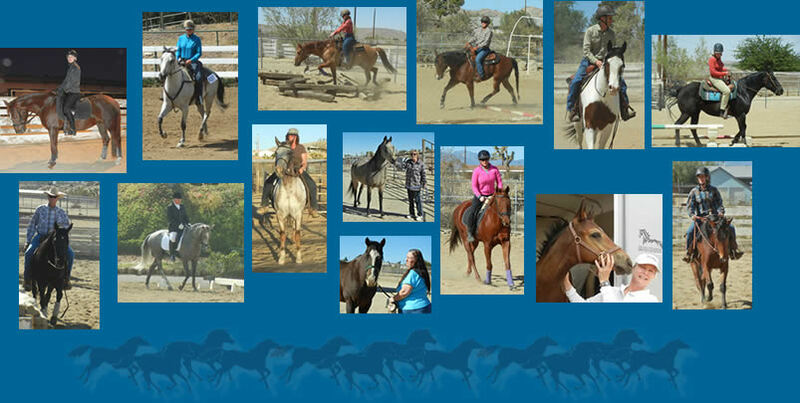 Interested in Adopting a BLM Mustang? Visit our Mustang Page for more information & Extreme Makeover Training Journals!